Can you imagine how Steve Rogers brews his favorite tea? 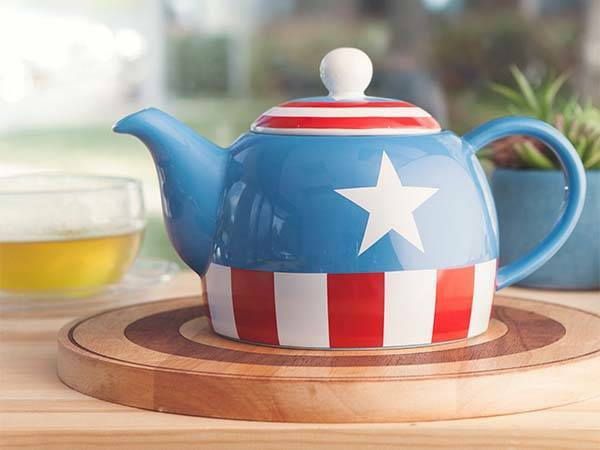 Take a look at the Captain America inspired teapot. It should be a reasonable answer. This is an officially licensed and pretty cool teapot themed by Captain America. As we can see from the images, the teapot is designed based on classic costume of Captain America, so the outside of the ceramic pot shows off those symbolic details and colors from the well-received superhero including the Captain’s shield shaped teapot cap, red and white strips and more. The ceramic teapot measures 6 inches wide at the base, and its squatty body allows it to hold approx 36 oz of your favorite tea or other hot drink. Moreover, an integrated handle lets you comfortable and securely pour hot tea in your elegant teacup. 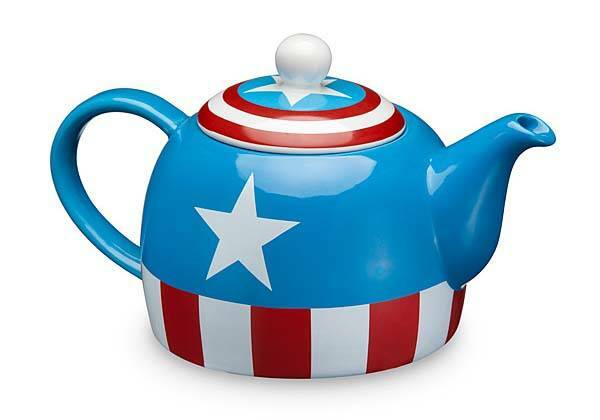 The Captain America inspired teapot is priced at $29.99 USD. If you’re interested, jump to ThinkGeek for its more details. BTW, also don’t miss Game of Thrones teapot and teacup set and more related cool stuff by following tags.